Second-chance love of a different stripe--between mother and daughter--is the focus of Hannah's (Angel Falls) overheated family drama. More than 10 years ago, Nora Bridge walked out on her husband and two daughters. Now a wildly popular radio talk-show host and syndicated columnist, Nora offers inspirational advice that appeals to listeners' family values. What Nora's fans don't know is that her youngest daughter, Ruby, now 28, hasn't spoken to her mother in years. When a scandal breaks concerning Nora's unsavory past, Ruby, whose stand-up comedy career hasn't taken off the way she hoped it would, is hired to pen a tell-all article. 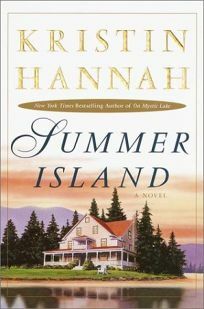 Conveniently for Ruby, Nora is injured in a car accident and needs someone to accompany her to the family's former retreat on Washington's Summer Island. Once mother and daughter begin to get reacquainted, however, trading secrets, learning to see each other as people and healing the wounds of the past, Ruby isn't sure she wants to write the profile after all. Two subplots drive home the same lesson: one featuring Ruby and Dean, the young man Ruby pushed away while she was too busy hating her mother, and another involving Dean and his gay brother, Eric, now dying of cancer--conveniently, Dean and Eric are staying on a neighboring island, trying to get reacquainted. In all cases, Hannah's prescription for saving shaky relationships is the same: talk and forgiveness. The cozy sentimentality may appeal to fans of confessional talk shows--others will want to give Hannah's latest a miss. (Mar.) Forecast: Crown is backing Summer Island with a first printing of 125,000, advertising in major national publications and a teaser excerpt in Ballantine's mass market edition of Angel Falls, due out this month, but it's unlikely that this by-the-numbers offering will expand the author's reader base.